Premieres on October 21, 2018 as part of Fall Harvest 2018. "Cassie’s precious family heirloom – a beautiful red ruby known as The Heart of Middleton – goes missing from the History of Halloween in Middleton museum exhibit. Without its Heart, the town of Middleton starts to doubt their Halloween spirit just in time for their annual festival competition with Blairsville. Complicating matters, Martha feels unappreciated and defects to Blairsville, giving new mayor Abigail Pershing a run for her money. It all culminates at an anniversary black tie Halloween gala at the museum honoring the lore of the Heart of Middleton, where the Merriwicks help to re-inspire their fellow Middletonians. " 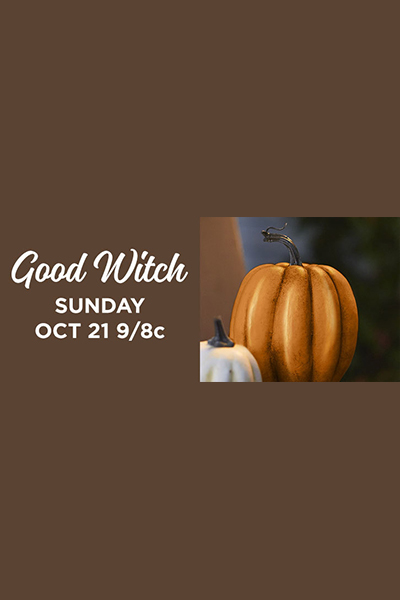 How many stars would you give Good Witch: The Heart of Middleton?